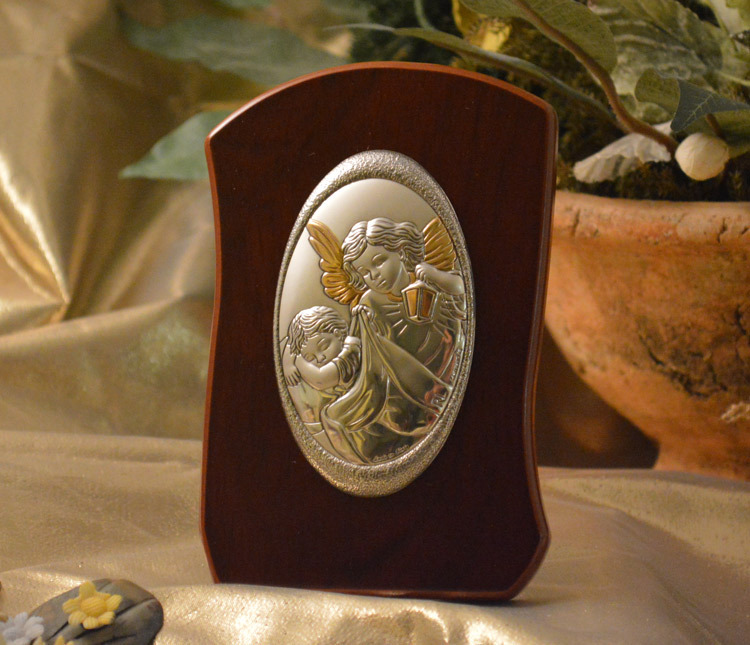 The Guardian Angel desk plaque from the Argenti Collection is breathtaking! Elegant and sophisticated distinguished by the fine detail given to each piece. All of the Icons are Silver bilaminated and entirely Made in Italy. This item on a wood stand is perfect to give to your friends and family when celebrating your special event. 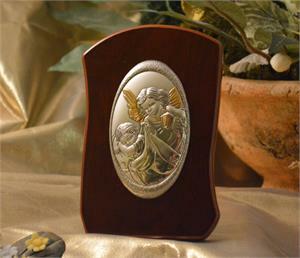 Each piece comes along with a delicate glossy ivory box lined with ivory satin. Dimensions: 3-3/8" X 5-1/8"